The COSIMA features a broad front bands echoed on the cuffs and the pocket tab, and this one is in our fabulous dark bouclé trimmed in black. 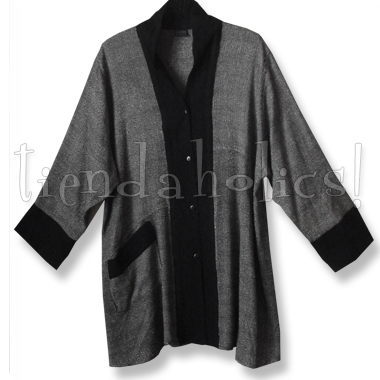 The four-button closure and car-coat length makes it a rarity in our collection, too! A decidedly contemporary look without diminishing its ethnic past -- the new "must have"!